Big data has drastically transformed the business landscape in recent years. Companies have always collected data but not necessarily used it to it’s fullest potential. Rather than storing data in a folder or on a disk, never to be seen again, businesses can employ the big data approach and use this information as a way to gain valuable insight. The reason that big data has become so popular in recent years is because it is now much more affordable and easy to use thanks to the evolution of technology. However, there does seem to be a disconnect between this new type of analysis and smaller businesses. Many small to medium companies won’t even consider big data because they assume it’s suited to larger organisations and out of their reach, but this just isn’t the case. It is true that larger amounts of data does facilitate more accurate results and this may seem to benefit larger companies but any amount of data can be useful. This is particularly true if the business in question hasn’t been analysing much or any data previously, which tends to be the case with smaller companies. 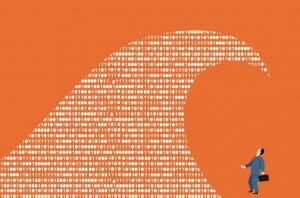 So why are so many smaller businesses failing to embrace big data? It’s likely that there is a number of factors behind this. Money is probably the main issue, with many smaller companies assuming that they wouldn’t be able to afford the cost of the equipment, software and personnel required to utilise this new technique. Another problem is the assumption that utilising big data techniques would require a designated department or member of staff with the expertise to run it. The majority of small business owners employ a small number of staff and don’t have the budget in place to hire new employees, never mind a whole team of specialists. The concept of big data itself can be quite intimidating and many business owners feel that they don’t have the full understanding in order to get the most value from this tool. Even if they are able to collect and analyse the data, there is a worry that they won’t be able to fully utilise the results in any meaningful way. Although understandable and very common, these worries are often misconceptions and are holding companies back from embracing an invaluable tool. Thanks to the rise of another huge business trend- self service solutions, companies are no longer forced to modify their own infrastructure in order to utilise new techniques, they can simply outsource. There are many online organisations that offer self service big data solutions, levelling the playing field for every company, no matter how large or small. These services not only help businesses to collect and analyse their own data, they also convert the raw data in to meaningful, simple to understand information. This information is incredibly useful and can be used to make informed decisions that will hopefully cut costs, streamline processes or attract new custom. The best part of the self-service approach is that it doesn’t require new software, hardware or personnel and is therefore much more affordable, straightforward and infinitely more attractive to smaller businesses. In the past, techniques such as big data may have been more accessible to larger, richer companies but thanks to the continual evolution of technology- this is no longer the case. Fortunately, the breaking down of technological barriers is helping to create a much more egalitarian business landscape. In fact, it’s worth noting that there are advantages that smaller companies have over their larger competitors when it comes to big data. For example, they benefit from a much more flexible approach to change- meaning they can react to data in real time. Larger companies tend to be fixed and have many more moving parts- therefore modifications are complex and require more time. It has never been a better time for smaller businesses to adopt a bigger approach to data. This entry was posted in Tips & Resources, Uncategorized on March 1, 2018 by Roland.